Prestige Group, a foremost developer of property in Bangalore is going to launch their brand new residential project ‘Prestige Park Square’. This project will is located on the Bannerghatta Road in Bangalore. The project spreads over 8.5 acres of land; and has an option of 2 Bedroom, 3 Bedroom Small, 3 Bedroom Standard and 3 Bedroom Large configuration type of units. This Prestige project will be lavishly designed and will have great interior specifications along with maximum space utilization. Moreover, this project will offer plenty of indoor and outdoor facilities such as swimming pool, well-equipped gymnasium, children's play area and lots more and all this together will make this project a mini paradise on earth. This project will have 3 Towers in total with G+ 27 floors. The Super Built-up Area of the 2 BHK - 1100 sq.ft, 3 BHK small - 1400 sq. ft, 3 BHK standard - 1600 onwards and the 3 large - 1700 to 1800 onwards with maids room. You can do the booking of your favorite unit by just paying an initial booking amount of 1 Lakh and the remaining 10% within 10 days. There will be imported marble in the living, foyer, dining and all bedrooms and external grade solid wood flooring in the decks of living and dining area are being used. The construction of this project will start soon and shall be ready for possession in few years to come. The location advantages of the project are that it will have proximity to the major, healthcare facilities, recreational areas, and educational institutions. The project site is going to be very close to some prominent areas of Bangalore. Calm, idyllic, old-worldly and yet combination seamlessly with the pace and glamour of the Silicon City! Such a home is what Prestige Park Square promises you and presents a desirable place to stay. The Bannerghatta road is an extremely accessible area and the much sought after location with elegantly planned and crafted apartments. This residential apartment will come with all the amenities that your lifestyle will demand; making it a rational and perfect choice. The project will offer an address that shall be desirable by all and owned only by a few fortunate people. Explore the micro-site to find out all that you want to know about this Prestige project and discover more about a home that's designed just for you. Also, submit your details in the 'Contact Us' section on this page, so that one of our executives could book your home for you. The project is planned to offer superior quality living with world-class amenities in a quiet and soothing region. The project as the name signifies is amidst a beautiful ambiance and in a well established residential stretch very close to your everyday needs. 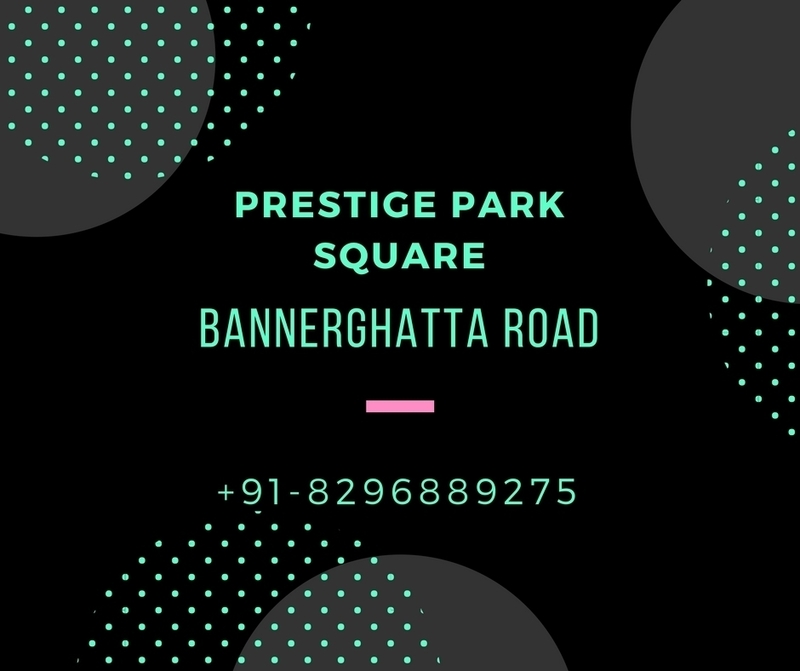 You will for sure get the divine pleasure of living in an elegantly crafted home that is almost designed to suit your scrupulous needs… That is the guarantee of Prestige Park Square which is located in the beautiful locales of Bangalore city.